At 21 he was playing to thousands at Santiago’s Love Parade. His love of music had brought him fame. Most DJs would stop there but Luciano’s outstanding characteristic is his refusal to rest on his laurels. “In life always you have an easy way and a complex way,” he says. “The complex way has more rewards.” Luciano left Chile at 21 and moved to Europe, determined to push himself to new heights. He gradually invaded the inner reaches of electronic culture, thanks in part to South American associations with artists like Ricardo Villalobos and Pier Bucci. He formed a partnership with Ibiza’s most notorious underground club, Circoloco at DC10, which gave Luciano a perfect platform and a passionate audience for his irresistible, mind-altering blend of barebones techno and hot-blooded Latin rhythms. Word of his epic, emotional sets set the dance scene buzzing and, in 2006, Soma wooed him to make ‘Sci.Fi.Hi.Fi. Vol 2’ – a hands-on, vinyl mix that whetted public appetite for his organic, emotional soundscapes. In the course of a few short years Cadenza has taken its place as one of the most respected electronic labels on the planet, with robust and creative group of artists led by Luciano’s example. As a DJ he has performed at virtually every major club and festival in the world, blazing a trail of music from Ibiza to Berlin, Peru to Tokyo, via London, Frankfurt, Sao Paulo and all points in between. Always striving to bring new excitement to electronic music, he debuted a multi-media show ‘AEther Live’ in 2009 – a futuristic synchronization of sound and music. However, Luciano never loses sight of the simple pleasures of dance. In 2009, when DC10 was shut for the summer, Luciano was determined to bring back the underground spirit of Ibiza by hosting a free party at a little known beach bar called Ushuaia. From a one-off event it exploded into the biggest party of the summer, packed with a mix of party people and industry elite yearning to experience the good vibes that made Ibiza famous. The success of Luciano's parties at Ibiza's Ushuaia during the 2009/2010 seasons, also helped lead to the launch of the all-new Ushuaia hotel-club complex in 2011. Luciano was a resident DJ at the hot daytime venue throughout the 2011 summer. Following the success of Luciano's Ushuaia parties in 2009, all of Ibiza’s clubs were clamouring for Luciano to play for them. In the end, he chose Pacha as the perfect destination to express his musical vision, and in 2010 he launched his Vagabundos parties at the opulent club. The parties were a runaway success, with Luciano and his fellow Cadenza artists holding court at a packed Pacha club every Sunday night. Vagabundos has since grown into a world-recognised party brand - as well as its wild and decadent affairs at Pacha Ibiza every Sunday night throughout the summers, Vagabundos parties have taken place across the globe from Tokyo to Holland, Brazil, Miami and more. In 2012 Vagabundos will host stages at festivals in New York City (Electric Zoo), Eindhoven (Extrema Outdoor), Romania (The Mission), Serbia (EXIT Festival), and Barcelona (East Ender), to name a few. This summer will surely be Luciano's biggest to date. 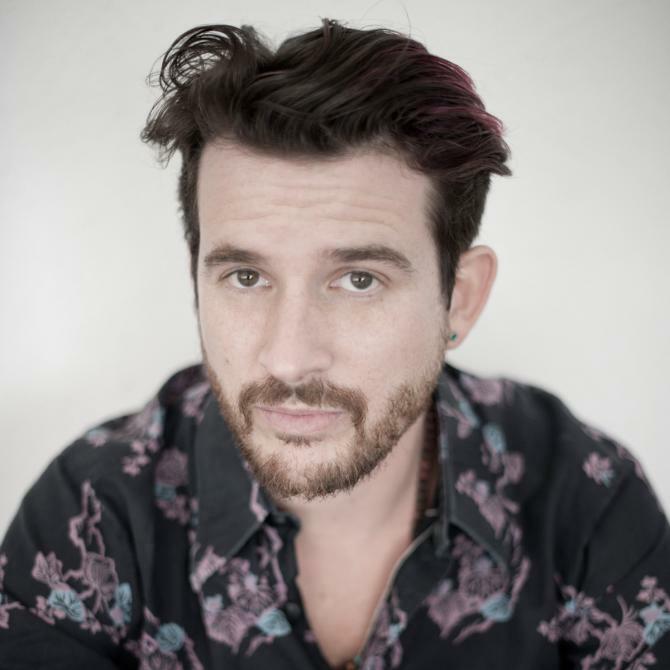 As well as his Vagabundos parties at Pacha each Sunday, Luciano will unveil a new party concept at Ushuaia. The events will feature a diverse range of electronic music guests, who will play alongside Luciano from 4PM until midnight every Thursday throughout the summer. As well as his ever-burgeoning events, Luciano is currently working on a number of interesting new collaborations, including one with American singer and songwriter Lenny Kravitz, the results of which will be revealed at Ibiza's new 123 Rocktronic Festival in early July. He is also working on a top secret new project called Luciaeno.